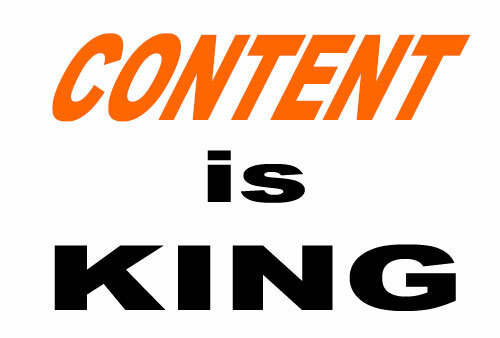 You’ve heard it before, here and elsewhere, many times: content is king. Indeed it is. But content is everywhere, around every corner, tucked into every nook and cranny of the Web. And that adds up to noise – distracting, stifling, insurmountable noise. Content is making the Web better and less spammy, to be sure. But its over-abundance is making it harder for any given piece of content to get the kind of traction a business needs. There’s just so much content out there; everyone knows they need to be in the content creation business. The cat, as they say, is out of the bag. Consumers get desensitized to generic, repetitive content that seems to piggyback off older content, and that clutters the search results. This places a burden on your shoulders if you want your business to climb to the top of the content heap. This year, content will surely continue to reign. But it is time that your content upped its ante. It is time to bring your “A game.” Content is a lead magnet as well as a driver of sales. Content is a kind of currency that is exchanged for customer data. In fact, it is the way marketing works for many businesses on the Web, in a nutshell. The better the offer, the better the customer, simply put. If content is holding back your business, it is time to wrap your head around the content creation concept. Here are 5 sales tips for creating content that will result in irresistible lead magnets. For this process to be most effective, your content needs to have perceivable value to your leads. Since you’re often offering content without receiving money from the customer (for the sake of acquiring a lead), it is easy to make the careless mistake of putting out low-value content. But that’s the worst thing you could possibly do. You have to change your thinking when it comes to creating magnetic content. Now, you have to assess its cost as part of the price of lead acquisition. Everything has a price, including conversions. Your website attracts 2,000 monthly visitors. Of those visitors, 1,000 consume an eBook, in exchange for their email address – making them leads. Of those leads, 100 convert to sales. Each sale is worth $100, grossing $10,000. Let’s say that the creating, advertising, hosting, and delivering the eBook, all told, costs $1,000. Your cost per lead is $1. For your $1000 investment, you generate $10,000 in sales, and clear $9,000 before other costs of doing business are factored. To really nail this aspect of content marketing, you’ve got to know something about your customers. Chances are good that you’ve already identified buyer personas relevant to your business. Keep them in mind as you start to think about creating content that offers value. What are the problems your customers share? How can your offer solve their problems? How is my offer different than the competition? What can I say to my customers that will benefit them? What connects my expertise with my customers’ needs? Bearing in mind the above questions, you can start to create content that speaks directly to your audience. The first measure of value your customers will make as they assess your brand is “Does this content mean anything to me?” You need to be able to clarify that the answer is “Yes” through your content assortment. Any proposed piece of content that doesn’t meet with your customers specific needs should, quite simply, not be published. Focus on the content that offers value in exchange for lead data. Takeaway sales tip: Remember your competitors. They are trying to attract the same leads you are. Don’t hesitate to edge them out with outstanding content. If need be, turn to qualified freelance writers, editors, videographers, and graphic designers. Their additional costs will improve your content, and the resulting sales you’ll make will offset the added costs. Don’t make the mistake of peddling “free” content that is worth the price your leads pay for it – zero dollars. Put out content that factors its own cost as part of the price of lead acquisition. Let’s say you’re the owner and head designer at a medium-sized web design agency. You know web design well. You could write your own blog posts, but your business is really about creating great websites, right? If you’re also writing the blog for your business, you’re doing it wrong. You need to outsource that function. You can’t be the boss and the blogger and expect it all to be done well. Ringo Starr can play the drums, and he can sing, but how often do you see him doing both at the same time? Two all-consuming tasks only suffer when attempted simultaneously. You should outsource as many tasks as possible so you can focus on the things that got you into your business in the first place. If web design is what you do, then put your energy into web design. If it is accounting, put your energy into that. Takeaway sales tip: Search freelance marketplaces like Elance, Fiverr, and Guru for qualified, reputable freelancers that are familiar with your niche. No matter what your niche is, there are plenty of freelancers with the experience and know-how to be able to understand your content needs. By working closely and building a relationship with one or more freelancers, you’ll be able to communicate your authoritative “voice” through their handy work. So, you’ve got a website. Sweet! You’re probably already immersed in putting some content marketing resources in place to make that website rake in sales. You’ve probably read about all the different types of media that draw in customers. You’re probably at least considering putting out some blog posts, eBooks, white papers, videos, and infographics. And all of those are great types of content. But you need to give some consideration to what type of package you deliver your content through. Certain audiences are more receptive than others when it comes to a particular type of content. Many websites fire on all cylinders, putting out some of each type of content. But to make sure your content is best aimed, you really have to know something about your audience. If you’re a graphic designer, chances are, your ideal customers are not interested in a highly-technical white paper on the latest graphic design applications and their use. It is very likely that those customers are really interested in getting someone who knows about that stuff to make some graphics for them. So those customers would be better served by content like a video or blog post showing how you are able to help your customers realize their design ideas. For those example customers, testimonials are more useful than white paper, but the same may not be true for your real-life customers. You have to put some thought into what content will work best for your customers. Takeaway sales tip: Consider your audience before you put out content. Otherwise, you are just taking shots in the dark. While it is a good idea to repurpose content into a variety of mediums, don’t waste time, money, and effort on ineffectual content offerings. You’ve probably heard about repurposing content already. But do you know what it really means? Basically, repurposing content means getting the most out of every piece. It is about getting the most out of what you’ve paid for. While you don’t want to put out every possible type of content, unless you can empirically prove that it is advantageous to do so, you do want to pursue multiple channels for delivering your content. Let’s start with a video interview. Say you ask an industry leader to have a face-to-face chat with you for a video that you post to YouTube. That’s one use of the content. Then, you have a transcriptionist write out the dialog. You can use that transcript to generate blog posts, tutorials, and reports based on the content from the video. You now have four uses of the original content. You can export the audio out of the video file and create an audio podcast of it – giving you five uses for the same content. Takeaway sales tip: Evaluate each piece of content that you generate, looking for opportunities to repurpose. Only take the action of repurposing if it is beneficial to do it. You are likely to be familiar with analyzing the performance of the various webpages that make up your website. Tools like Google Analytics and HubSpot are very commonly known for this purpose. But to really get to the heart of the content matter, you need to examine each piece of content individually. If you post a video to YouTube, follow its number of views and extrapolate from that the number of leads and conversions that come to you from there. This is easy, because automated analytics tools can make such assessments for you. But something like a white paper is harder to measure in terms of performance specifics. Of course, now there is the option of using in-document analytics to get gain an insight into the true effectiveness of a white paper or other electronic document. With that kind of technology at your disposal, you can know where you lost the customer, should he or she bounce out of the document. This has the immediate benefit of allowing you to provide them with a personalized follow up. It has the long term benefit of examining shortcomings in your document content, so you can improve it going forward. Takeaway sales tip: Just because you’ve made a piece of content doesn’t mean it’s good. Continue to scrutinize and tweak your content to improve your results. Don’t let a piece of content drag your sales down just because you are partial to it or it was costly to create. If it is not working, it has to go. Replace it with something that does work, and use all the analytical tools you can get your hands on to learn what works. Is it time your content upped the ante? If you have a bunch of content already, it’s still a good idea to perform a content audit to determine what is working and what is not helping you grow sales. Trends change all the time on the Web. Even the way blog posts are written evolves year after year. As you settle comfortably into 2014, there has never been a better time to fix any problems with your content. To really stand out in the kingdom of content (read: noise), your content has to be good, original, and relevant to your customers. We hope the five tips on this list prove helpful in your efforts and encourage you to be critical and pragmatic in your approach to generating leads through content marketing in the ever-changing landscape of the Web. How does your content measure up? Are you getting the kind of sales you want from your current content? Is it time to make some changes? We’d love to hear how you think content is changing going forward in 2014. Please let us know in the comment space below.